With The Beauty Salon premium theme for WordPress you may add a touch of class to your beauty salon and spa website. 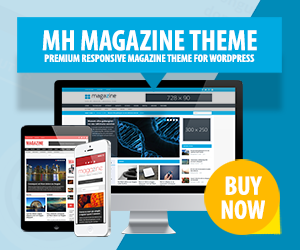 This beautiful WordPress theme comes loaded with useful features that can enhance your online presence. The Beauty Salon provides your visitors with a consistent and attractive environment that promotes your health-related services or products in a nice way. The Beauty Salon is suitable for a variety of health related businesses, including health spas, beauty salons, medical supplies, make-up artists, saunas, and nutritionists alike. You can make use of the built-in color scheme editor, theme options panels, custom widgets, and selectable templates to create beautiful beauty and spa website with ease.